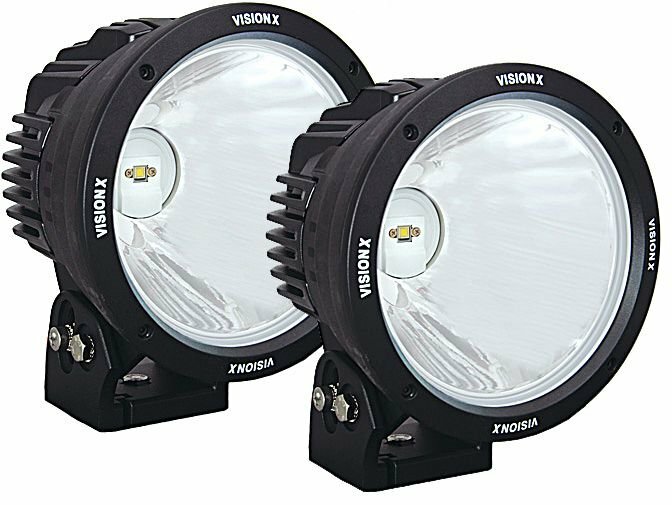 Vision X has teamed up with the world's largest big chip LED manufacturers to develop their new 8.7" Light Cannon Series LED Driving Light. This is the first Single Source LED light to achieve 3280 feet of usable light. The new 8.7 Light Cannon supports snap on filters to change beam and color, turning this light into 20 lights in 1. The rugged single-bolt mounting platform ensures a strong hold under high vibration, while the Hybrid Aluminum/Polycarbonate housing is engineered for extreme environments. Optional Black Out filter with Glow In The Dark "X"